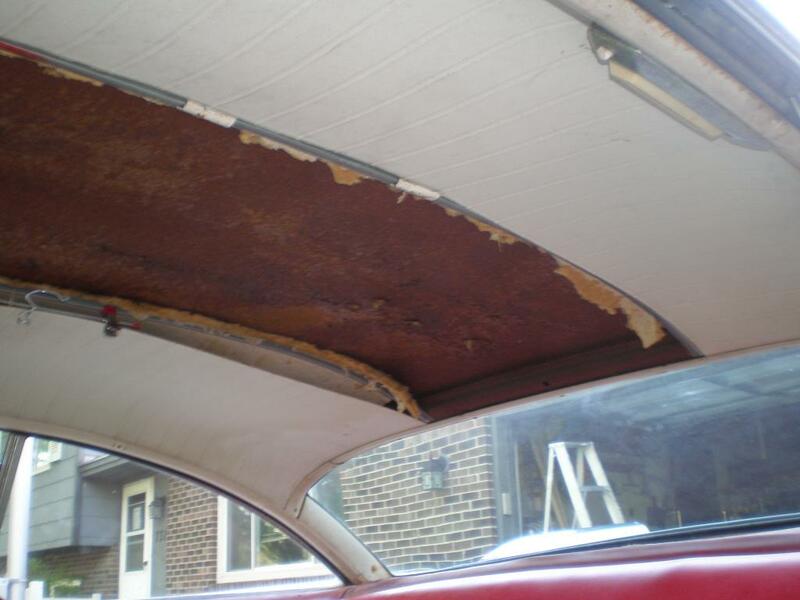 Does anyone know of a good substitute for the cardboard headliner material on the 57/8's? Specifically the center section. I know Mopar Mel has reproductions but they are $200 per panel. I think Big Joe "Evil Plymouth" has been working with someone to get these reproduced. Arnie1964 wrote: I think Big Joe "Evil Plymouth" has been working with someone to get these reproduced. Something has to happen here...can't have Mopar Mel having that monopoly on headliners. If the sport tone inserts can be reproduced I'm certain the technology is out there to reproduce the headliners. It's just that no one has taken the time/money to do it yet. I would think the side pieces (being contoured) would be the most difficult to duplicate...but in a pinch, the center could be replaced with something found at Home Depot or Lowes. Wouldn't have all the little holes of course...but it would certainly look better than having nothing up there. 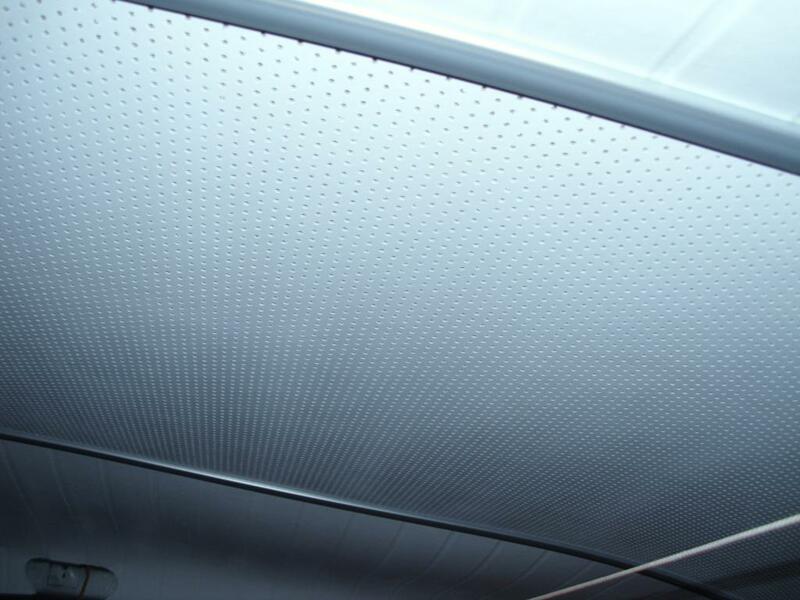 I see SMS auto has a perforated vinyl headliner material, I have thought about buying that and gluing it to some kind of backer board for the center piece, the trouble is finding something thin enough. The problem reproducing such parts is not the technique itself. A mold is needed. 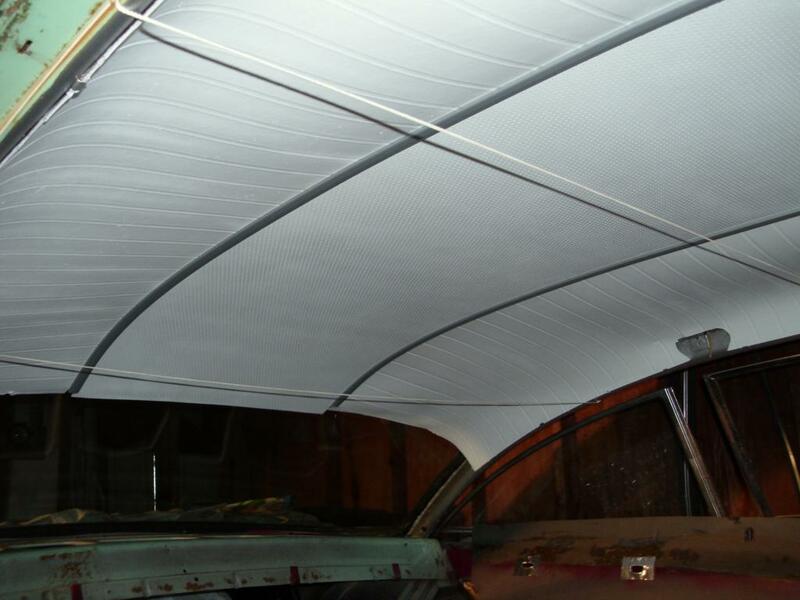 To make a mold you´ll need one nearly intact headliner to take an 3D imprint because it is bend in 2 directions. 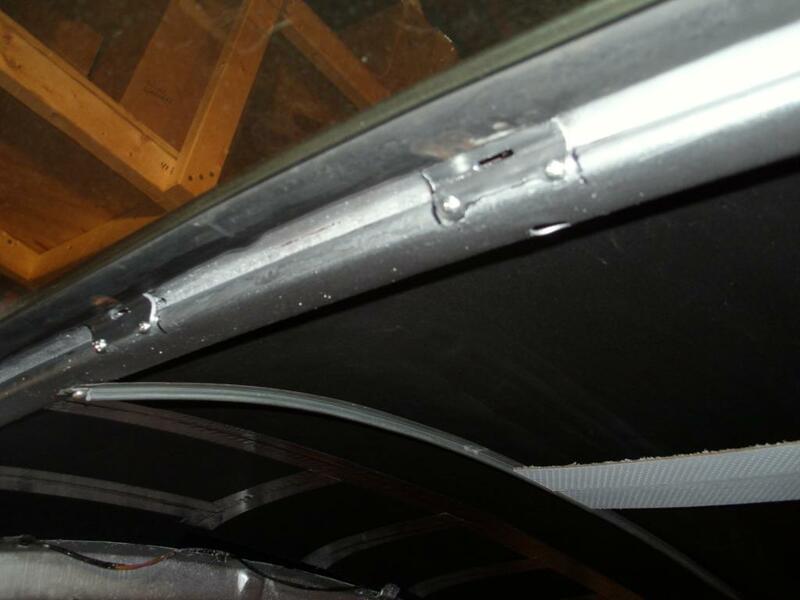 But normally, intact headliners are installed in a car. Who is gentle enough to remove his intact headliners for taking an imprint? I think Mopar Mel was smart enough to make a mold using an intact headliner. 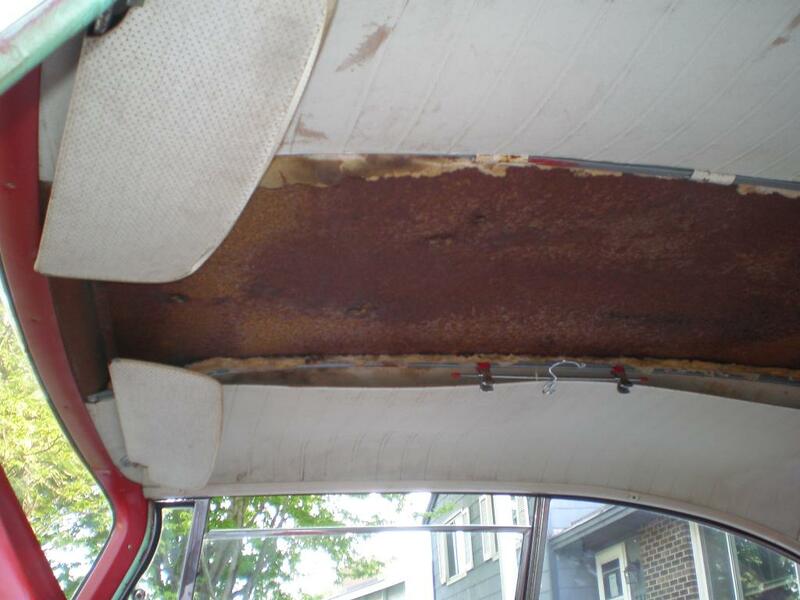 A friend of me restoring a Christine is trying to make a new headliner out of a broken, incomplete one. I´ll report if he has success. This is an interesting dilemma and one the hobby has been dealing with forever. Solid fiberglass side panels would be the way to go imo. You wouldn't have to worry about them deteriorating. As for the center section that would be the easiest. 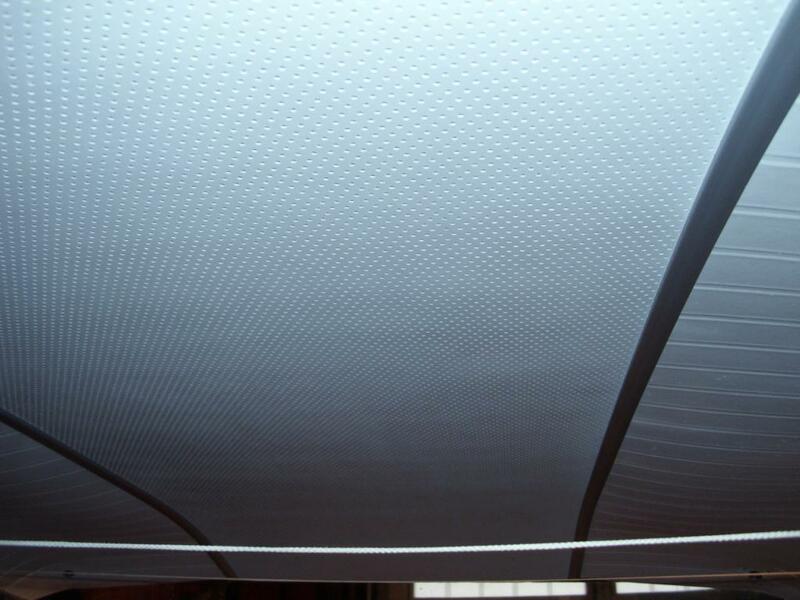 Thin straight cardboard with perforated vinyl. Perhaps the club should look into getting these made? I wonder how well a piece of thin sheet aluminum would work? Speaking of headliners, can someone tell me how to remove the headliner garnish trim that runs above the drivers side and passenger side windows? Thanks Chris. I beleive they have standard phillips screws no? 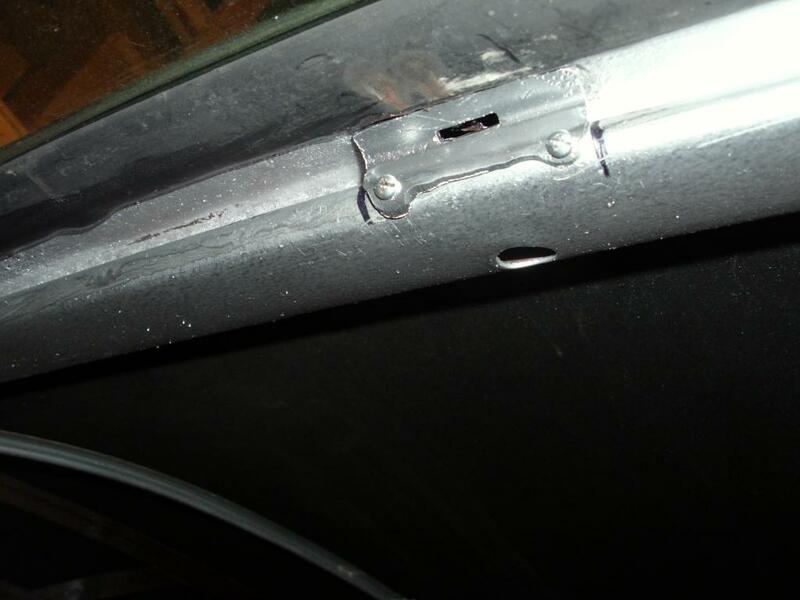 Well the front and rear trim pieces have screws but the side trim doesn't seem to have any visible hardware holding it up that I could see so I'm guessing there are clips of some sort behind them. My biggest fear is trying to remove them blindly. 57belv wrote: I wonder how well a piece of thin sheet aluminum would work? i think aluminium might make noise as you drive? 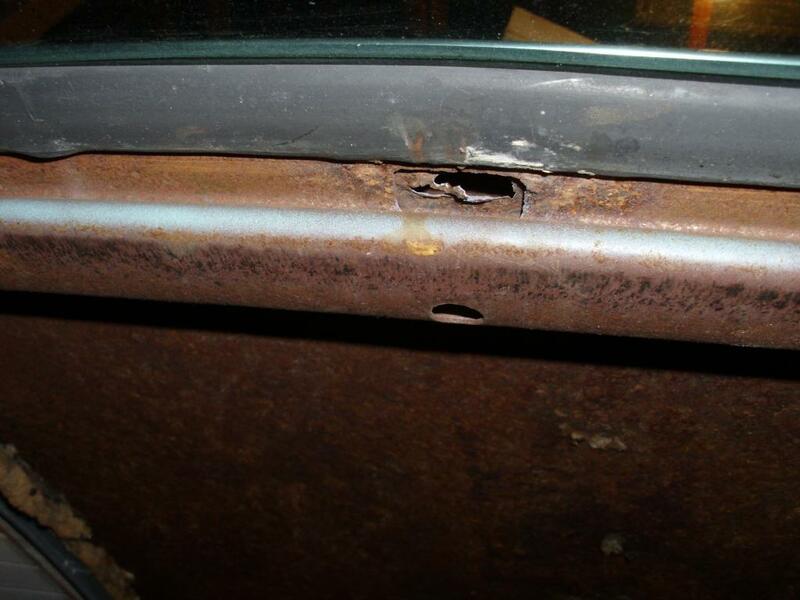 57belv wrote: Well the front and rear trim pieces have screws but the side trim doesn't seem to have any visible hardware holding it up that I could see so I'm guessing there are clips of some sort behind them. My biggest fear is trying to remove them blindly. 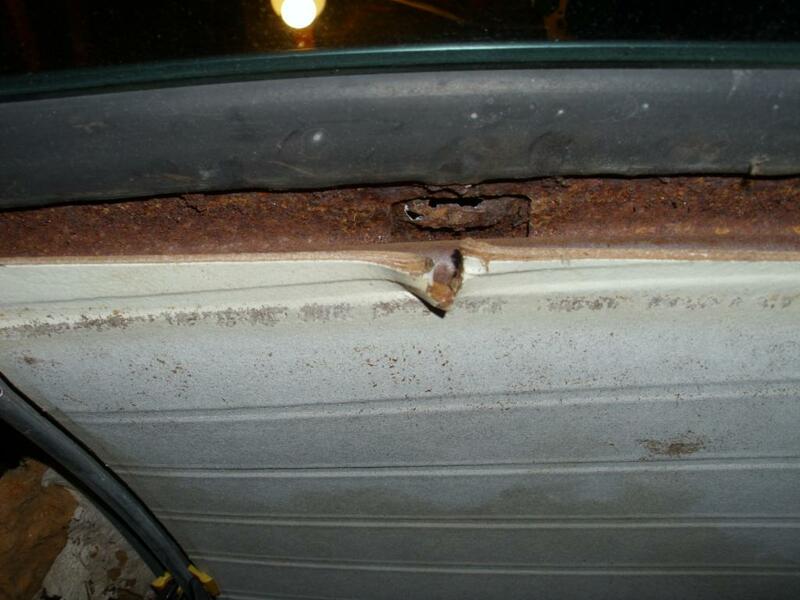 Thanks, I'll have to take a closer look at the trim, unfortunately my car is tucked away for winter right now. That's a good point about using aluminum, maybe gluing foam to the backside would help if it is noisy. Wow...excellent work Chris! Looks fabulous!...and I don't see one thing wrong with the paint work...? Thanks Bob, I just couldn't seem to get rid of the blotchyness. Wow Chris.. 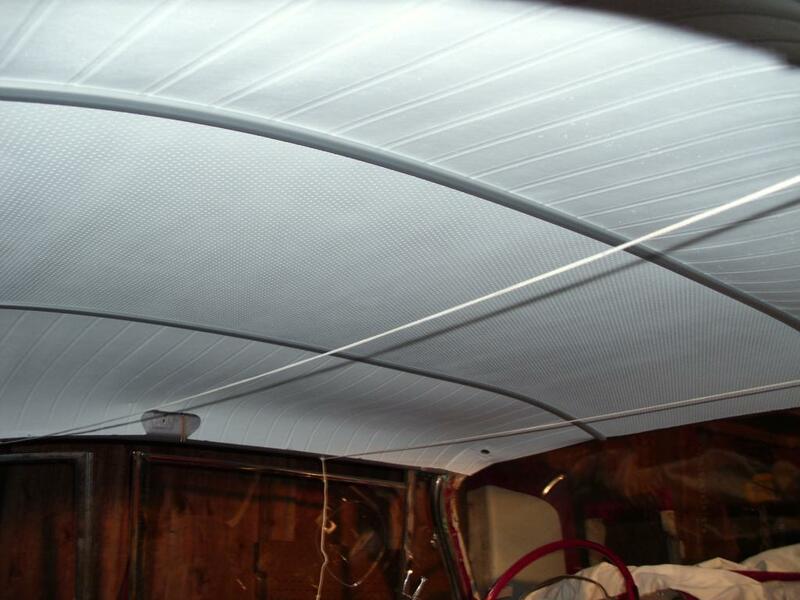 I think that headliner is looking great! Are all the headliners like that in the 57 and 58? Very nice job! Thanks Brian! Yep, all the hardtops are like that. It's just so nice to look at a clean headliner that's complete, it was pretty ratty looking before and the pictures don't really show how grungy it was. Your darn tootin' Joe! 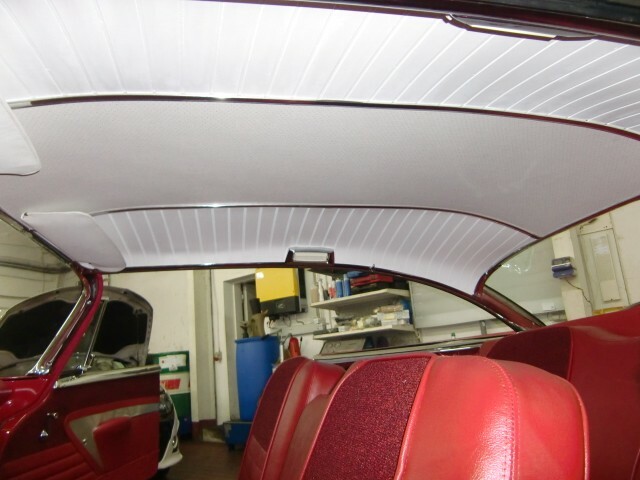 It really freshens up the inside of the car and getting the ceiling done has been an ordeal, and now with the freshly painted mouldings installed, I'm quite pleased. 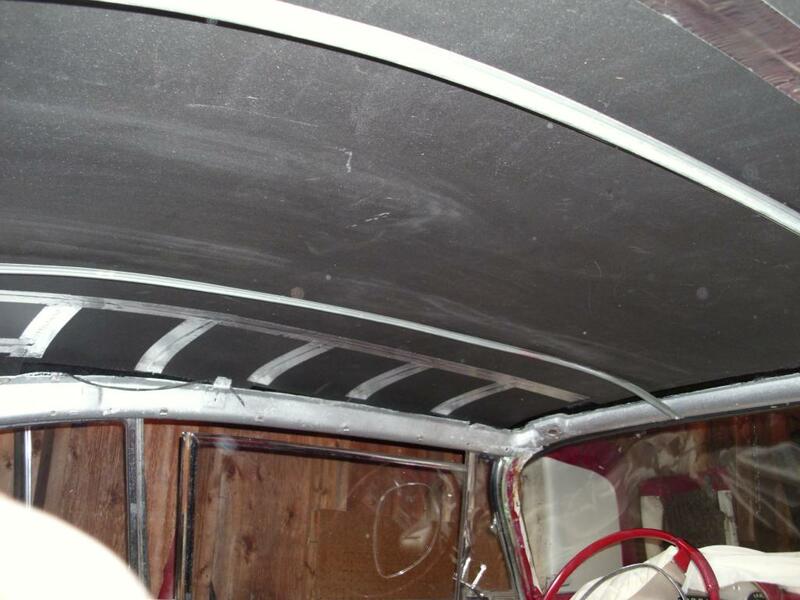 You've done a darn nice job on that headliner, Chris, Looks great!! Thanks John! Now if I could just get the rest of the interior done I will be a happy camper. Well done! Very interesting for me as I´m planning to do something similar in a few weeks. I will also report, along with the instructions how to make of a completely scratch build headliner. A friend of me did it with great success, here´s the result. Thanks Andy! That headliner job your friend did looks awesome, I'm curious to know what he used for the side panels. I almost used a piece of thin sheet pvc plastic for the center part until I came across the perforated board. What did you use for the side pieces Chris? Just repaint the originals? Yeah the sides are original and thankfully were in decent shape.